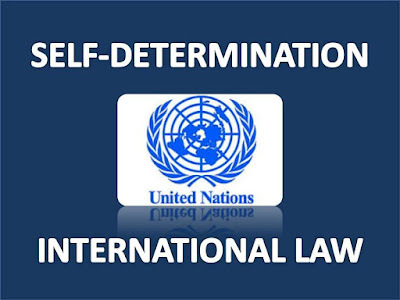 The Indigenous People of Biafra (IPOB) under the leadership of Citizen Nnamdi Kanu (POC) the Director of Radio Biafra / Biafra Television (BT) has the right to self-determination that is enshrined under the UN Charter which the contraption called Nigeria is a signatory to. 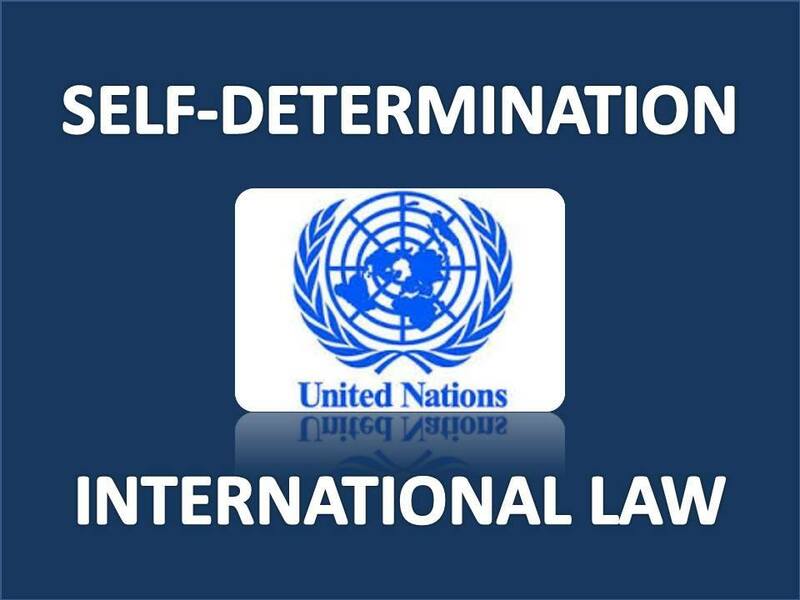 Why is United Nation Charter 2007 for self-determination abused? Is UN Charter for white people alone? Why the abuse of human right in the contraption called Nigeria by Muhammadu Buhari and yet nothing has been done to stop him? Why is the world still mute on the plights of the Indigenous People of Biafra (IPOB) in Nigeria? There are questions that needed answers. Since the illegal detention of the leader of IPOB Citizen Nnamdi Kanu on 14th October 2015 the contraption called Nigeria has been running from pillar to post in search of ammunition to exterminate the children (Biafrans) of Chukwu Okike Abiama (the supreme creator of the universe). The Nigeria government led by tyrant Muhammadu Buhari, the Boko Haram sponsor and terrorist has been abusing the fundamental Human Right of the Indigenous People of Biafra (IPOB). The peaceful IPOBIAN’s has been on the street to protest and demand for the unconditional release of the leader of IPOB Citizen Nnamdi Kanu who was unlawfully detained since 14th October 2015 till date. Still two court of competent jurisdiction has ordered for the unconditional release of the IPOB leader Citizen Nnamdi Kanu a Prisoner of Conscience but Nigeria government under the dictatorial leadership of Muhammadu Buhari has refused to obey court orders. In fact president Buhari has insist on not releasing the leader of the indigenous people of Biafra. The denial of bail by Justice Binta Nyako the current judge presiding over the case of the IPOB leader is an abuse of Human Right but we know Justice Binta has been under intimidation and pressure from president Buhari to not grant Nnamdi Kanu bail. The Indigenous People of Biafra (IPOB) has the right to self-determination and under no circumstances is it a crime to ask for freedom because is a universal law and must be obeyed. We are republican in nature. The IPOBIAN’s has the right to choose their fate. We are well informed that freedom is not given, by the oppressor, is taken by the oppressed by force. The IPOBIAN’s must be free come Rain come Sun. nevertheless we are from the Land of Rising Sun, the land that flows with Milk and Honey, and the wise men from the east, Obodo Chukwu Telu Mmanu. Obodo Chukwu Gozie Gozie. Chukwu Okike Abiama (the supreme creator of the universe) blesses us with minerals in our land yet we are subjugated to stay with uncivilized human’s who like sucking the blood of innocent Citizen. You cannot force about 70 millions Biafra people beyond their wish to remain in the crime against humanity Nigeria. The IPOBIAN’s has been protesting peacefully all over the world where the Indigenous People of Biafra (IPOB) are present and the world is aware that we are following diplomacy to follow the contraption called Nigeria. The Nigeria military are telling the world and giving various reasons for killing innocent Indigenous people of Biafra as a fight to keep Nigeria as one. "One Nigeria" is a fake slogan used to keep deceiving some gullible Nigerians. I have not heard of One England, One USA, One Britain, One Ghana, One South Africa, One Sudan etc but only in the contraption Nigeria, I hear "One Nigeria". How can you force people of different ethnic groups to stay as one. People who no longer want to be together. What nonsense! The Indigenous People of Biafra (IPOB) was vindicated hearing the garbage NIGERIA ARMY VS AMNESTY INT’L vomited by one ex-general HASSAN STAN-LABO challenging Amnesty Int’l to respect the territory of Nigeria Unity. Hassan Stan-Labo justification of the unprofessionalism of the Nigeria military for killing innocent protestant is to keep an expired entity created in 1914 of amalgamation by the fraudulent Frederick Lugard of Scotland one . Why should any reasonable and good thinking human being force about 50 million Biafran people into an expired entity? Hassan Stan-Labo was aware of the fact that Biafra is older him and Nigeria, then he would know that the amalgamation of Nigeria was a fraud. Biafra is older than Britain the creator of the fraudulent Nigeria. Who is the Nigeria government to hold the Indigenous People of Biafra (IPOB) down into their corrupt entity? Biafra is the only nation in the world, that fought against some world powers who backed Nigeria during 1967-1970 Biafra / Nigeria Civil War and still stood strong. British-Nigeria government ended up declaring 'No Victor No Vanquish'. Up until now Biafrans are still asking for their freedom and would continue to do so, until they are allowed to finally get their beloved Nation, Biafra.